Home Blog Internet Webmaster Website Blogger vs. WordPress - Which is Better? I think you've heard about blogging. There are two most popular blogging platform on the internet. 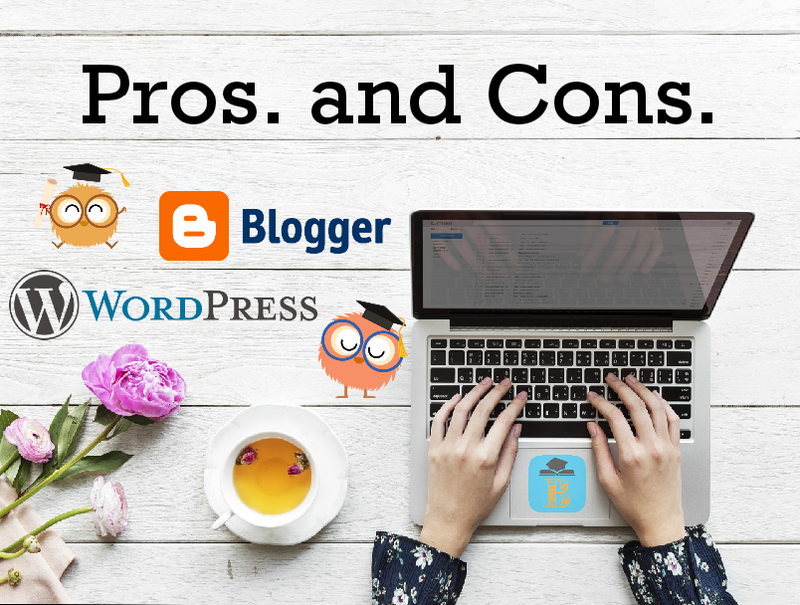 In this article, we discuss all the difference between these two most popular blogging platform Blogger and WordPress. Now, we will see the difference between Blogger and WordPress. Note that this comparison is between WordPress.com and Blogger, not between WordPress.org (self-hosted). WordPress is an open source free content management system based on PHP and MySQL. The features include an add-on architecture and a template system. It is associated more with blogs, but it supports other types of web content, such as mailing lists and more traditional forums, online stores, media galleries, and more. Subdomain accounts are free on both platforms. Imagine, example.blogspot.com and example.wordpress.com are subdomains, while example.com is called custom domain or full domain. Hosting means uploading files to your website address and making the site available for use. If you use a blogger subdomain, you can use freely host the website with Blogger own servers. Actually, they take care of your hosting and you only need to post articles to your blog. Even WordPress, you will get free hosting for your subdomain. When you want to change your subdomain name, you will need a custom domain name. Imagine, you bought a custom domain from https://domains.google for your website. Let's say example.com. 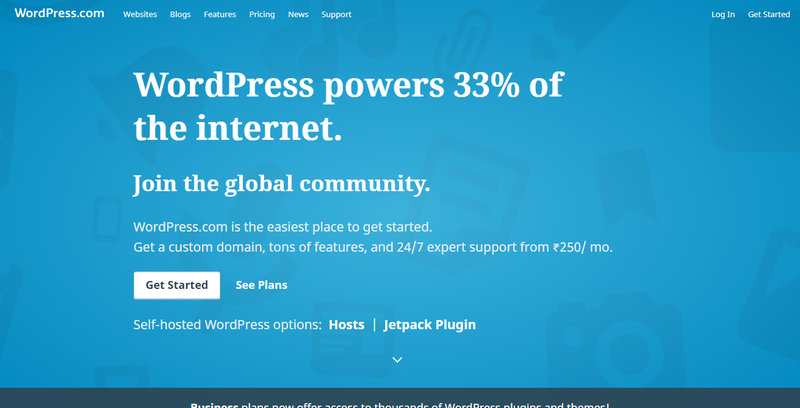 Now, you will need to pay for WordPress hosting. However, the hosting is still free of cost on Blogger. With the passage of time, if you reach a stage when your blog becomes very popular and you plan to sell the place on your blog by placing ads through advertising companies, you can not do that a free WordPress account or a sub-domain. However, you can sell advertising space on your Blogger blog, whether you own a sub-domain or a custom domain. The default themes of Blogger seem to be a bit old and they have fewer features than the default WordPress themes. 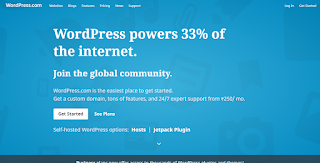 WordPress also has available much more plugins for its users than Blogger users. However, blogger themes and layouts can be easily customized via HTML code. This is not possible on the default WordPress theme. If we talk about the statics of both platforms, there is not much difference in it. Both of them are powerful in that aspect. Whether you have a custom domain or not, you will get free and unlimited hosting space on this platform. The Blogger templates support 100% customization, which means that you can customize your blog or website the way you want. 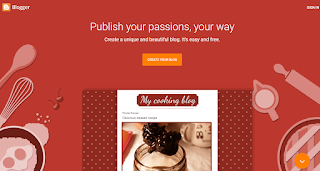 You can customize the template provided by the default blogger, upload a new template you wrote, or download a template from anywhere on the web. To top it off, Blogger also provides a rich template editor based on the graphical user interface for people who can not code the template. When SEO (Search Engine Optimization) concerned, some people think that the Blogger platform is not good. I guarantee you that this is false. How can a platform be poor in SEO that is powered by Google? In fact, bloggers blog are more easily found in Google search results compared to WordPress blogs. This Google-owned platform is associated with other Google services. For example, you can use Blogger or Google Plus account to use it as a Blogger profile. For example, you can use a Blogger or Google Plus account to use it as your Blogger profile. You can use the default Blogger comment system or the new Google+ comments. Although, Google Plus is now disconnected from the blogger profile. You can also place Google AdSense ads easily on your blog with the options provided in Blogger Design Management. There are many tutorials on the web designed to help new bloggers. In fact, Blogger has the most tutorials available on the web. This could be due to the fact that Blogger is highly modifiable, and therefore is open to awesome opportunities for modifications. Blogger blogs are always Ad-Free by default. Google will not show any of your ads on your blog unless they pay you for it. You can only show ads if you sign up for a Google Adsense account and allow Google to show ads on your blog for that you will get paid. This is not true for free WordPress blogs. They have the right to show ads in the free spaces available on their blog. Although, those ads can be eliminated and for all for a little money. It's worth noting that ads often slow down blog performance, which severely affects SEO. With access to the template code, you can refine your web development skills by making changes and see how it is reflected in the blog. You can learn a lot about HTML and CSS from the Blogger template code. While it is free to get many new templates from the web that you can use for your blog, the default templates provided by Blogger appear to be old and outdated. WordPress blogs are rich with many powerful plugins available (although some of them are very old) Some plugins even help make the blog more SEO-friendly with just one click. However, Blogger blogs have fewer plugins (Gadgets) compared. Whether you are hosting a free subdomain or a full domain, even if it doesn't happen very quickly, Google has the right to turn off Blogger at any time because there are millions of blogs on the web. WordPress is an open source software. It means that your future is independent of the actions taken only by the WordPress community. It is fed by hundreds and thousands of people all over the world and it is not easy to turn it off soon. Your future is more reassuring than Blogger. The default templates provided by WordPress look more modern and match today's lifestyle than provided by Blogger. Many independent developers upload and sell their templates in the WordPress template gallery. WordPress often updates its website and its database (MySQL) to meet the modern requirements of the web. In this case, Blogger since they are based on the automatic hosting created by Google itself. Much long-time Blogger was not updated. You have the opportunity to choose from a large number of hosting services available throughout the world. They all have different plans depending on your needs. The hosting services also depend on the quality and availability of your server. But in the Blogger, where blogs are self-hosted by Google, if Blogger servers fall, all blogs can fall. These blogs are difficult to customize. Because the template code is not directly available to the user. Support resources are limited in comparison to Blogger. The reason behind this is discussed in the top Pros of Blogger section. So, who is the winner here? I hope that you have not forgotten about the first discussion in the first paragraph of this article. 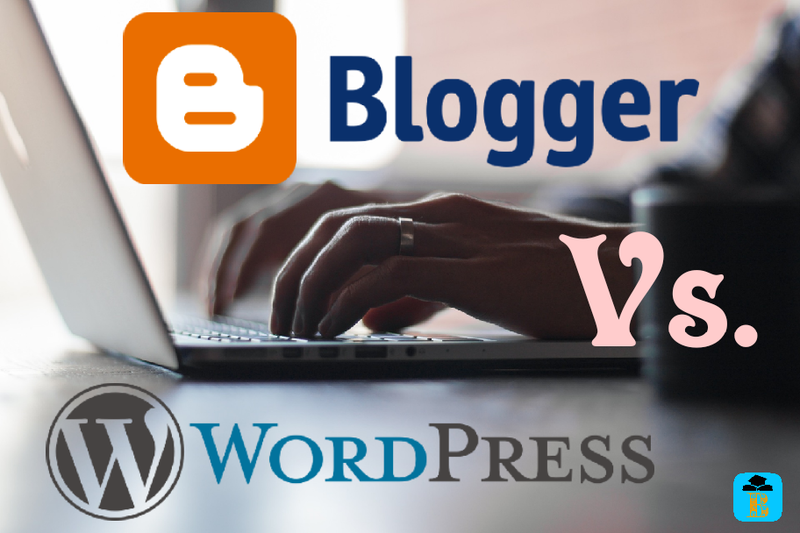 Now, depending on the requirements, you can choose either Blogger or WordPress. You want to test some blogs. You want to make some money online. You want to host a site for free of charge. You want to learn more about web development. You want to advertise a product. You are a professional running a company. What is my opinion about Blogger and WordPress? I admit that my only goal here is to guide you and help you to choose the best blogging platform that suits you. 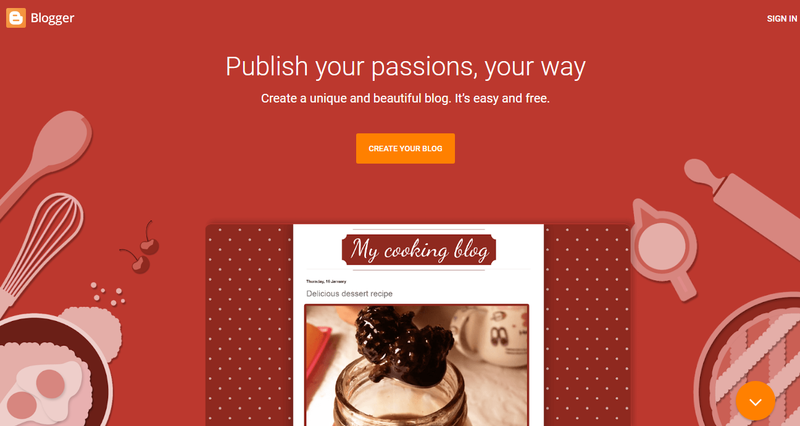 There is nothing worse than choosing a blogging platform. Working day after day on it, and then realizing that you made a mistake by choosing a platform from the beginning, and then with all the remorse, you throw it away. So, it is most important to choose the best blogging platform. Tumblr, Weebly, WIX are other options available that are worth you're trying. 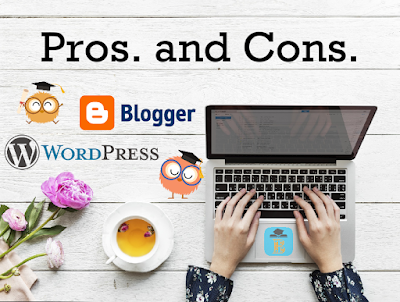 Do not forget that there are still more blogging options available if you do not like the ones, comment below. We will reply to your questions. So, what are your points of view about which we are discussing next? Share your thoughts in comments box. Thank you, Stay with our daily updates. Share your opinion in comment box! Thanks for your opinion, keep visiting! Thank you Zack, keep visiting!